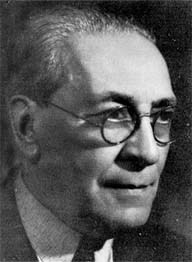 Born in Guadalajara on April 13, 1871, González Martínez was home educated until, at the age of 10, he the Council Seminary preparatory school, going on to graduate from the Liceo de Varones (the Men's Grammar School) of the State of Jalisco. He received his PhD in Guadalajara in 1893 and, soon after, was named adjunct professor of physiology at the School of Medicine. Two years later, he left Gudalajara, moving to Culiacán, Sinola, where became involved in politics, serving in various positions throughout the state and becoming Secretary General of government. González Martínez's first book of poetry, Preludios, was published in 1903. With the publication of his third poetry title, Silénter, he was chosen to become a member of the Mexican Academy, the poet moving to Mexico City. There he became the president of the youth Ateneo and founded the literary magazine, Argos, as well as editing the daily newspaper, El Imparcial. One of his major collections of poetry, La Muerte del Cisne (The Death of a Swan) argured that writers should "wring the swan's neck," breaking with the rhetoric of the Romantic Parnassian poets. In 1913 he assumed the position of the Undersecretary of Public Education and Fine Arts, the following year becoming the secretary of government in the State of Puebla. Soon after he became a professor of French Literature at the School of Higher Studies and, later, professor of Mexican Literature in the National Prepatory School in the Federal District. With major Mexican poets Ramon Lopez Velarde and Efrén Rebelledo, he directed the journal Pegaso in 1917, publishing Parábolas y Otros Poemas (Parables and Other Poems) a year later. He entered the Mexican Foreign Service in 1920, becoming the Mexican representative in Chile, Argentina, Spain, and Portugal for the next eleven years before returning to Mexico. In 1942 he joined the Seminary of Mexican Culture. In 1944 he received the Ávila Camacho National Prize for Literature, the same year in which his Poesías Completas (Complete Poems) was published. González Martínez died in Mexico City in 1952.
of nature's voice or of the soul of things. life, and let life understand your homage. and stays his silent flight on yonder tree. the secret book of the nocturnal still. is life still or hallucinated death. the shadow and I returned to my nothingness. of the entire firmament crashing down. blue the mountain and the wind at rest. yielding their signs to the wind. "Wring the Swan's Neck" and "Pain" reprinted from Octavio Paz, Mexican Poetry: An Anthology, translated by Samuel Beckett (Bloomington: Indiana University Press, 1958; reprinted New York: Grove Press, 1985). Copyright ©1958. "The Window" reprinted from Stephen Tapscott, ed. Twentieth-Century Latin American Poetry (Austin: University of Texas Press, 1996). Copyright ©1993 by Elizabeth Gordon.